8 days without a single post. Whoops. No excuses, really, but I’ve been completely distracted. On February 18, I’m flying out to Asia for 10 days. So right now, I’m working to get ahead on school work so that I don’t need to lug my books with halfway across the world to Seoul and Jakarta. After I get back, I have just four days here in D.C., and then I leave for a week in Charleston, South Carolina, on a Habitat for Humanity Trip. I can’t wait. There’s something about manual labor after spending a few months attending lectures, writing papers, and studying in Lau that is completely….relaxing. By the time I get back from Charleston, it will be the second week of March. Graduation will be two months away. CRAZY. Sheer madness I tell you. But for now, it is still February in Washington, DC. It’s that time of year when—every five days or so—you suddenly feel the sun and you remember that in just sixty days, the city will be swarming with schoolchildren, tourists, and cherry blossoms. This place, I am convinced, serves up some of the best sandwiches in the city. But more than that, it explodes with character. 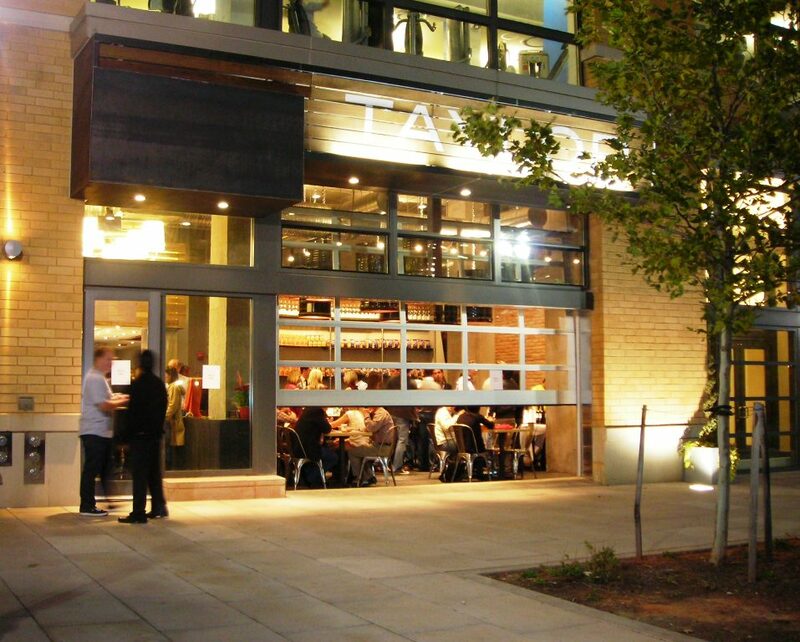 It’s hard not to feel cool when you eat at Taylor. The lights are covered by white buckets hanging from the ceiling. Each sandwich is named after a different street in Philadelphia. And the entire front of the restaurant is a glass garage door that they open up when it hits, say, 65 degrees. At that point, walking into Taylor is like walking into your neighbors kitchen for a sandwich. Except that your neighbors never made sandwiches this good. I wish I had pictures of their sandwiches, but for that visit their website and check out their menu. One of my favorites is the Market Street, which has “Home Roasted Pork, Roasted Red Peppers, Arugula, and Fresh Mozzarella.” Oh, and did I mention that they bake their bread fresh every day. It’s located at 485 K St. NW, just a few blocks from the Verizon Center in Chinatown. After the next Georgetown victory, treat yourself to a Taylor Sandwich. 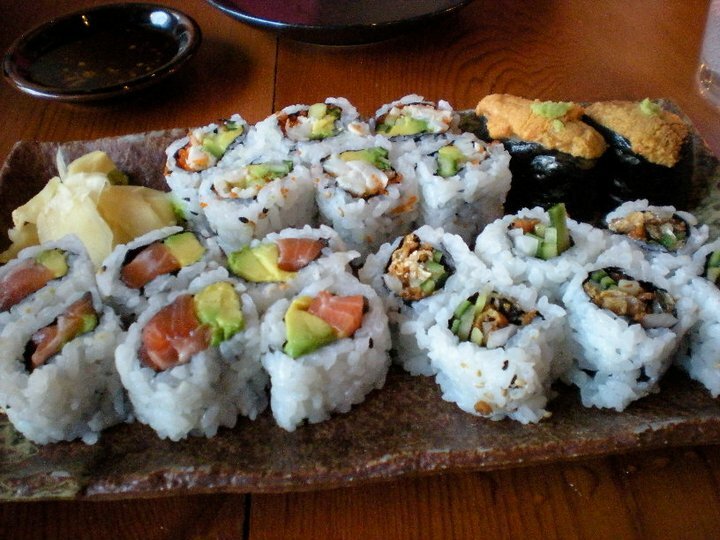 Or, if you have an extra dollar to spend, walk next door to Kushi Sushi. Both Taylor and Kushi started in 2010, but they are gaining a reputation, so you might need to make a reservation to get a seat at Kushi. At Kushi, I recommend the pork belly, the salmon rolls, the sea urchin, and–oddly enough–the ice cream. You might not go to sushi restaurants for their ice cream, but at Kushi, it will top off your meal. Their flavors change all the time and are made in the restaurant. Last time I went, I think it may have been sea salt, red bean, and pumpkin. Just trust me–you’ll like the ice cream. In the fall or the spring, this is the gold standard for DC day trips. Rent, borrow, or steal a bike and set out on the George Washington in the direction of Mt. Vernon. Along the way, you will pass through Old Town Alexandria, the perfect stop for a bathroom break. Then, you will travel across boardwalks, through some small neighborhoods, and alongside the Potomac River until you reach the grand old residence of President Washington himself. The trip is about 20 miles each way, so you can make it there in less than two hours at a nice, leisurely pace. There’s plenty of good restaurants to try in Annapolis after strolling along the waterfront. 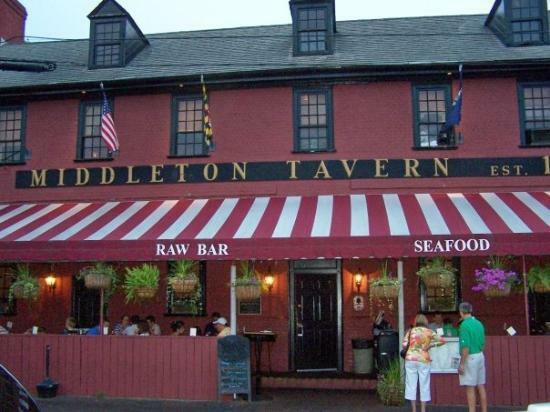 But afterwards, there is one place to go: Middleton Tavern. It was–supposedly–established in the late 1700s and drafters of the Constitution would meet in this house to brainstorm. Now it’s a piano bar on Fridays and Saturdays, and it feels like the living room of a large family. Yell out the name of the song, and the piano player will begin. “Sweet Caroline?” You got it. “Wish You Were Here?” No problem. And while you are toasting your friends or watching old people rock out, try and Oyster shooter. Cocktail sauce, an entire oyster, and if you are in the mood, some vodka. All for $1.50. So when you want to escape from D.C., give Annapolis a shot. D.C. has a lot more to offer, but I have nothing to add about the American History Museum or the neighborhood of Adams Morgan that you cannot find on Fodors or Lonely Planet. So these are my four recommendations, for what they’re worth.